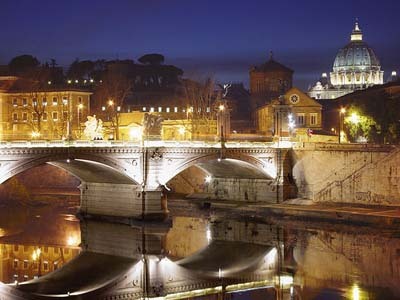 Serendipity in Rome, hotel, Christian churches, vacations in Rome. The best place to start your vacation in Rome. Choose staying period: you will be able to book on-line. 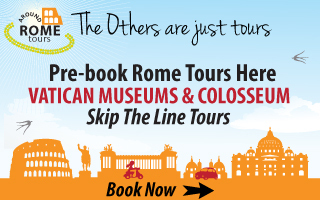 Book the best skip the line Vatican Museums and Colosseum Rome Tours. The energy of Rome at night -- floodlit piazzas abuzz with people enjoying the old city and each other. We were both observers and players: people-watching and strolling through the piazzas, by the fountains and outdoor cafes. Street musicians and local Casanovas provided the entertainment. 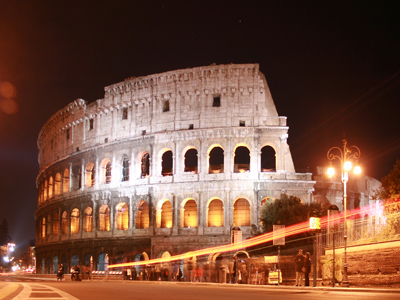 Rome's strolling extravaganza tops that of any other European city. Copyright © 2008 SERENDIPITY SRL. P.IVA 11439001006. All rights reserved.